Dominik Starck is an actor, writer, producer and director whose latest venture is THE HITMAN AGENCY (2018), a low-budget action thriller that features Don 'Dragon' Wilson in the cast. What it lacks in expense it gains in passion and inventiveness. Starck also wrote, produced and acted in the action movie ATOMIC EDEN (2015), which featured Fred Williamson and Lorenzo Lamas. In the first part of a two-part interview, I spoke to Starck about the films he loved growing up, how he got into the film industry, and his experiences making ATOMIC EDEN and THE HITMAN AGENCY. Growing up, what were some of the movies you loved? That’s a very long list, but first it was action adventures like the James Bond movies with Roger Moore and the Star Trek movies with the classic crew. In that early phase I watched movies mostly theme-based and eventually -during my teen years- I started to look more after filmmakers, so I fell in love with early 90’s indie films like EL MARIACHI (1992) and RESERVOIR DOGS (1992). 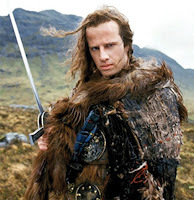 I also started to appreciate 80's classics like HIGHLANDER (1986) and THE TERMINATOR (1984). And - of course - STAR WARS (1977). My love for elaborate genre film continued with films like JURASSIC PARK (1993) and ALIENS (1986). When did you start thinking about a career in the movies? Very early, basically when I started to realize that those stories on TV and later video were fictional and that it was all planned out and made by someone. Even though I had no idea who made what at the time, I knew that I wanted to become a filmmaker - even though it was so out of reach that it was completely unrealistic to achieve. I grew up in a small town in the middle of Germany and when you say you’re looking for a career in the movies that’s like talking about a trip to Mars. So I listened to things like "Learn a real job first." And that led to a long detour. The thought about making a movie never left me though. Whose were some of the careers you looked up to when you were setting out? I have to say Robert Rodriguez is on top of that list. He made guys like me - without any connection to the film biz other than his TV and his VCR - believe that anybody can make a movie. Over the years naturally the list of artists that have inspired me has grown a lot. 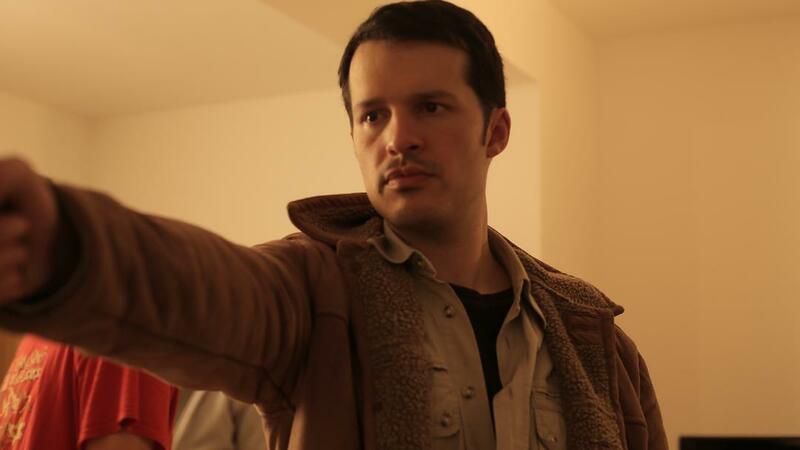 As a writer I was more drawn towards other indie filmmakers from that period like Quentin Tarantino and Kevin Smith. Later on, David Mamet joined that list. A very different but brilliant writer. But Robert really was that DIY-guy and there’s an energy coming from that that is even more inspiring than let’s say a visionary mastermind like James Cameron. You started off as an actor before moving to writing and directing. Why did you make the change? It's not as much a change than a less obvious interplay. I consider myself a storyteller and that includes different toolsets at different times. As a kid and young adult, I acted on stage a bit, but when I started to get a business education I had to let theatre go. I couldn’t stop telling stories though, so I moved to writing and I’ve been a writer ever since. When I eventually had the chance to work on a first micro-budget horror film and I was offered to act in it, I couldn’t resist. Acting still is fun for me but I’m a writer for most of the time. That said; the indie world of movie making allows or sometimes even demands wearing multiple hats and that gives you the chance to bring your own vision to life as a director. If I screw up adapting my script there’s no one else to blame but myself. On the same note; since I was trained to think as a business man due to my education I also slid into producing. That's a case of me being able to help someone else to stay as close to their creative goal as possible. It’s many hats but very connected. Which do you prefer? Acting, writing or directing? There's a time and place for all of it. I’m foremost a writer and I really enjoy crafting stories. It’s a lonely, demanding process but I really feel home doing that. I consider directing as the extension of me writing the script. In a way it’s just me telling others about that world that I created and how I picture it. As I said; acting is the fun part, but I prefer acting when I’m not directing. Guys like Eastwood and Stallone can do that repeatedly, but they have decades of experience and an army of assistants while I’m in front of the camera thinking about next day’s shot list or the catering. 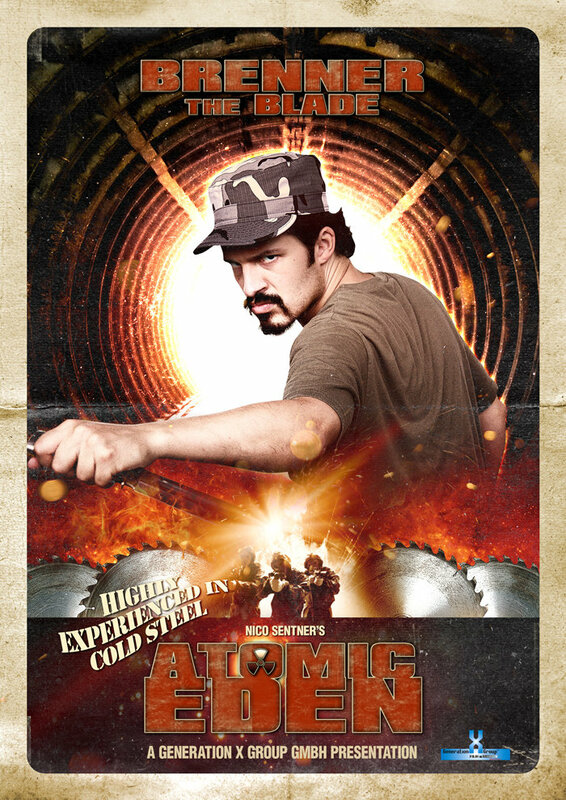 What was the experience of seeing ATOMIC EDEN get made, a film you co-wrote? It was like a semester of film school to see that script evolving, going through many development phases and to eventually get shot. At the beginning I was very protective, a natural reaction for a new writer I guess. But in the end, it’s out of your hands at some point and it’s up to the director, the other actors…even the editor. It helped that it wasn’t my story and I’m still proud of how fast I was able to craft that script. 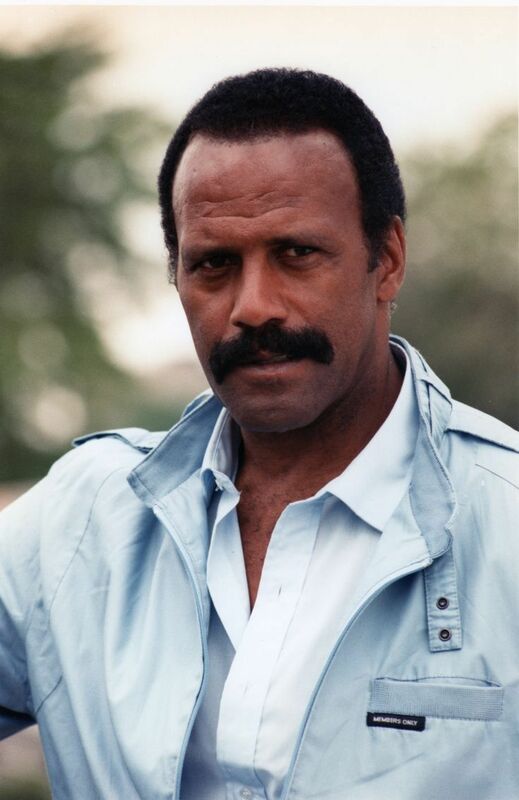 What's your favorite memory of working with Fred Williamson on that movie? 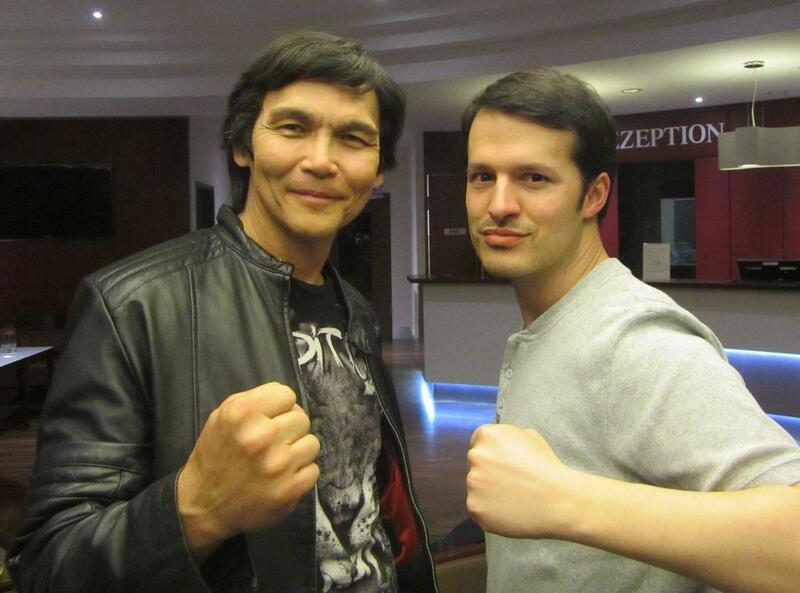 As you can imagine there were many very memorable moments and don't get me started on all the stories he shared. I guess on a personal level, my favorite memory occured very early during principal photography. On the schedule was the first scene between Fred's character Stoker and his old friend, a mercenary gone priest, played by Wolfgang Riehm. It's the recruitment scene for Wolfgang's priest and we were shooting it in a church. There was something special for me as a writer and future filmmaker seeing that particular scene come to life. It's an important scene in the movie, both actors delivered their lines very well and Fred infused some of his ideas to elevate the scene even more. It was a personal moment for me of things coming full circle. A few weeks earlier I had sat down with director Nico Sentner's treatment notes and wrote that scene and now I was sitting on a church bank and watching the guy from FROM DUSK TILL DAWN (1996) saying my lines. That was a great moment. What was the genesis of your latest movie THE HITMAN AGENCY? 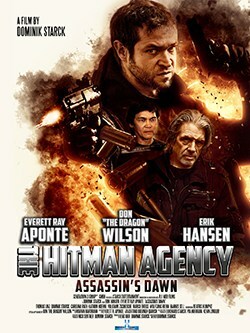 THE HITMAN AGENCY is a reaction to the movies I worked on before. They were mostly high concept and I felt the need to write something that was more about characters, emotions and the hopefully surprising twists in the story. At the same time, I wanted to make my own debut as a director and basically green-light myself in a 'Just do it' kind of way. Since I had very limited resources at my disposal I started out with the things I had, or thought I could organize very easy. Well, it wasn't as easy as I thought, but that's a whole other story. At the beginning there was a basement room with two competing, dangerous men in it and you don't know whom you can trust there. The whole plot evolved from there. How did the movie get financed? Financing an English-language genre film as your debut in Germany is actually one of the hardest things you can do. Most German filmmakers coming from film schools aim to get state funding on their projects and there are close to zero chances to get that for an independent filmmaker outside that system. At least for me, there was no way around self-financing and so I basically talked to friends and family, called in every possible favor and went to potential sponsors. The movie's budget is ridiculous and I have to thank each and every person involved over and over again for their contributions. The part that hurts a bit is when you realize that there are new filmmakers within the state funding world that get twice the budget that we had on THE HITMAN AGENCY - for a short film! But then again it's my choice 'cause I want to tell the stories I wanna tell and not make some arthouse-ish, non-commercial short. How was shooting in Germany? I tried deliberately to shoot as much as possible in and around my home town. We knew from the start we wanted to make the movie in English but couldn't afford to shoot in America - nor could we set-dress everything to make believe we did. So we went for a non-specific European flavor. Starting the project, I thought it would be beneficial to shoot in small towns but those open arms I was dreaming about turned into shaking heads. Most people thought we were nuts. Making movies seemed an absurd concept. But every now and then, nice people went out of their way to help out. For example; the opening sequence was supposed to take place at the mansion of a wealthy mob boss. We searched near and far but nothing worked out. One day my stunt coordinator, noticing that I was depressed by the choices at our disposal, asked me what I was looking for. I told him I wanted something more impressive than just a regular house. He thought about it a second and said "Would a castle do? I know a guy…" Priceless moment.